This month’s newsletter contains updates on some of our recent and upcoming events, including our parallel session and Case Study Workshop held during the 2014 International Forum for Sustainable Asia and the Pacific (ISAP) in Yokohama, Japan last month, and our plans for the Fifth IPSI Global Conference (IPSI-5) in Pyeongchang, Republic of Korea. We are also pleased to share information about some recent SEPLS-related activities by IPSI members UNEP and The Nature Conservancy (TNC), as well as one of the most recent IPSI case studies submitted by the University of Cyprus. As always, the IPSI Secretariat is welcoming case study submissions from all members. The United Nations University Institute for Advanced Studies (UNU-IAS) and the Institute for Global Environmental Strategies (IGES) hosted a parallel session on the “Benefits and Challenges of Community Engagement for the Sustainable Use of Biodiversity” on 24 July 2014, during the 2014 International Forum for Sustainable Asia and the Pacific (ISAP 2014). The session featured a keynote address by Professor Kazuhiko Takeuchi, Senior Vice-Rector of the United Nations University, who discussed how the principles of the Satoyama Initiative apply in various cases around the world and the importance of accumulating concrete examples to share with the global community for creating resilient and sustainable societies. This was followed by a guest presentation by Mr. Toru Fukushima, the owner and president of the Fukushimaya supermarket, which is making great efforts to promote sustainable use with a cooperative network from production to consumption of his stores’ products. Next were presentations by three panelists: Dr. Kuang-Chung Lee of National Dong-Hwa University in Taiwan, who described challenges and opportunities for production landscapes and seascapes in his country; Dr. Kaoru Ichikawa of the United Nations University Institute for the Advanced Study of Sustainability (UNU-IAS), who talked about indicators of resilience in SEPLS; and Dr. Ykhanbai Khijaba of the Environmental and Development Association “JASIL” in Mongolia, who presented preliminary results of using the indicators of resilience in the pastoral landscapes of Mongolia. A new video filmed in the Urato Islands in northern Japan was screened, showing the recovery from the devastating 2011 tsunami and earthquake applying the concepts of the Satoyama Initiative. The video was made by Kiraksha, Inc., and supported by the “Ink Cartridge Satogaeri Project”, an IPSI Collaborative Activity developed by six ink cartridge manufacturing companies. After the show, the floor was opened for a panel discussion, in which many challenging questions were offered by audience members interested in landscape and seascape approaches and the Satoyama Initiative. The parallel session provided a unique perspective among a wide variety of events related to sustainability held throughout the conference. 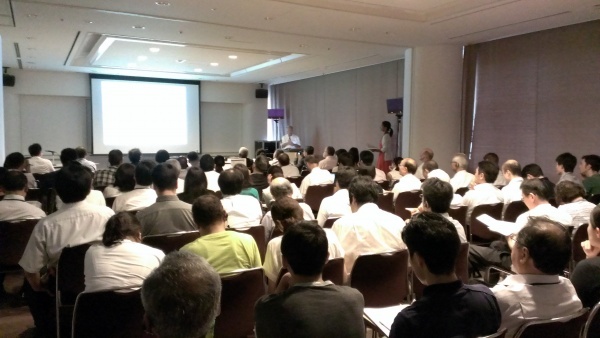 A workshop was held by the IPSI Secretariat and the Institute for Global Environmental Strategies (IGES) on 22 and 23 July 2014 at the Pacifico Yokohama Conference Center in Yokohama, Japan, as part of a major effort to make the growing body of IPSI case studies more useful for researchers and other practitioners involved with SEPLS. IPSI has received around 70 case studies to date, and while these are all available online on the IPSI website, this workshop was an important step in systematizing and analyzing them so that best practices and lessons learned in SEPLS management can be extracted more easily. The workshop saw a great deal of helpful discussion from a variety of experts, and many ideas were put forth for how the case studies can become most effective. All of the presentations helped to provide context and to highlight some of the challenges and issues faced in producing informative and effective case studies. With the insights gained from the two days of intensive presentations and discussions, significant progress is sure to be made in expanding IPSI’s role as a global knowledge-sharing mechanism for SEPLS revitalization and management. IPSI is always accepting case studies from its members. Any IPSI members who would like to submit one or more case studies, please contact the IPSI Secretariat. Preparations continue for the Fifth IPSI Global Conference (IPSI-5), to be held on 4 and 5 October 2014 at the Alpensia Resort in Pyeongchang, Republic of Korea, back-to-back with CBD COP12. The IPSI Global Conference consists of two main events, the Assembly and the Public Forum. Please note that to attend either of these events, it is necessary to register for COP12, as IPSI-5 will be held in the COP12 venue. The Assembly will be held in the afternoon of Saturday, 4 October 2014. The assembly is primarily for information-sharing and decisions regarding the future direction of IPSI, and all IPSI members are encouraged to attend. The Public Forum is open to the general public as well as IPSI members, and will be held in the morning of Sunday, 5 October 2014. The Public Forum is an opportunity for non-members to learn about IPSI and its activities as well as a venue for discussion of various topics related to socio-ecological production landscapes and seascapes (SEPLS), their revitalization and sustainable management. The IPSI Secretariat has already sent registration materials to IPSI members. If you have not yet received the registration materials and would like to attend, please contact the Secretariat. Other planned events related to IPSI include side events with information about the Satoyama Development Mechanism (SDM), Indicators of Resilience in SEPLS, and others. Be sure to check the IPSI-5 event page on the IPSI website here for the latest on all of these events. We also invite our members and friends to let us know of any planned events or other activities during COP12 so that we can hopefully attend and let other IPSI-related people know about them. The Second Steering Committee Meeting of the UNEP-GEF project “Agricultural Biodiversity for ecosystem resilience in Cuban managed and natural landscapes” was held in Havana on 7-9 July 2014. 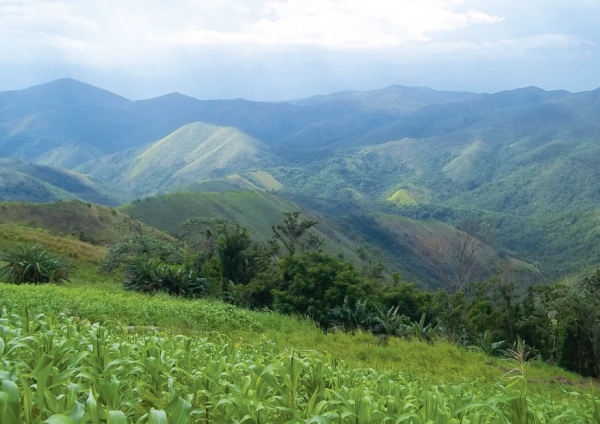 The project, implemented by UNEP-GEF, is being executed by Bioversity International and its partners INIFAT (Institute for Fundamental Researches on Tropical Agriculture) and CNAP (National Center for Protected Areas) in Sierra del Rosario and Cuchillas del Toa Man and Biosphere (MAB) Reserves. The event was attended by representatives of the project international Technical Advisory Committee who had the opportunity to get acquainted with the activities carried out in the first year of project implementation. So far the project has identified Cuban crop varieties with distinctive traits that have shown resilience to climate change as well as high economic potential. A characterization of family farming systems in the project sites is leading to a compilation of agro-ecological management best practices, aimed to improve the diversity and quality of the agricultural matrix within and around protected areas. Moreover, an agreement with local authorities is being negotiated to establish markets and selling points aimed to commercialize agrobiodiversity rich products, as well as to restore resilience and health of Cuba’s food systems. How to cost-effectively measure and monitor the social impacts. In doing so, it highlights the critical importance of understanding and identifying the key strategies that deliver multiple benefits for both people and conservation. TNC developed this guide for conservation practitioners including NGOs, governments, and private sector representatives who are implementing sustainable landscapes programs. It is designed to help practitioners take a systematic approach to developing and monitoring these strategies. REDD+ practitioners should find the guide particularly useful, as there is specific discussion about how the approaches presented can be used in REDD+ programs. The guide can be found at this link, and there is also a short video here. The IPSI Secretariat is pleased to have received a case study from member organization the University of Cyprus. This report examines biodiversity and social interaction in Cyprus’ Buffer Zone, as reclaimed by nature and human activity. The natural environment of the Buffer Zone remained largely untouched for forty years, following the division of the island across ethnic lines in 1974. 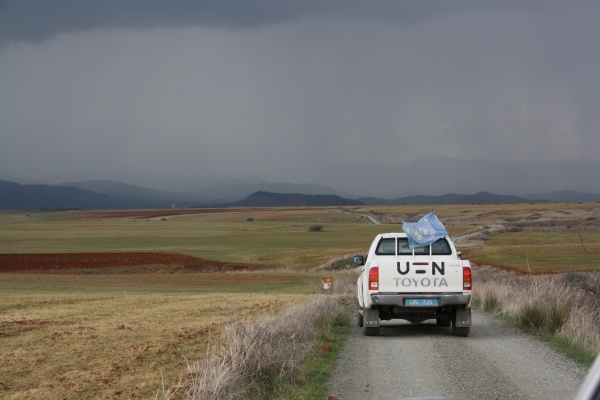 Since then UNFICYP, which formally manages the Buffer Zone, has worked in collaboration with Greek-Cypriot and Turkish-Cypriot authorities to support civilian uses and environmental protection. This case study shows how the limited human activity in the Buffer Zone by default preserved natural landscapes as well as endangered flora and fauna. Furthermore, the involvement of stakeholders in the administration of this area supported the development of co-management practices and institutions. As a result,common grazing grounds and mixed farming for both ethnic communities have been created in the very line of separation. This case study also looks at how the ecosystem of the Buffer Zone still conveys socio-ecological risks, such as the proliferation of pests or illegal human activities. In short, the Cyprus Buffer Zone provides an interesting example of a socio-ecological production landscape that is both shared and contested. For the full report of the University of Cyprus’ case study, please see the IPSI website here.